This is a comprehensive seven book photocopiable series for the entire primary age range. 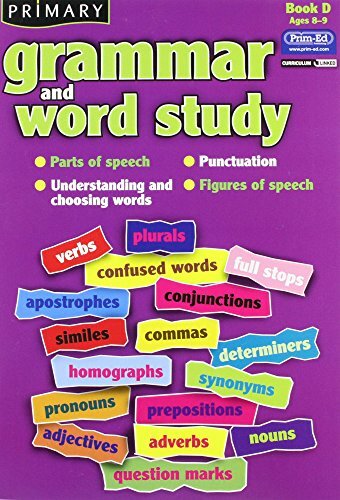 It is written to provide an introduction and consolidation of parts of speech, understanding and using words, punctuation and figures of speech; It offers new concepts that are introduced on each high interest worksheet. It provides clear and concise explanations and instructions. It includes interesting activities which require pupils to identify the focus in context and use and practice the focus. It contains detailed teachers notes that accompany each pupil worksheet, which include focus, definition, explanation, worksheet information, ideas for further practice and answers. It also includes curriculum links and checklists to aid assessment. Established in 2009 SpeedyHen has built up a reputation for its quick, reliable service. We strive to ensure that our products are competitively priced and available to you from stock. All of our orders are dispatched via trackable services for piece of mind. Our dedication to customer service has helped to establish SpeedyHen as one of the market leaders in online book & physical music retailing. Please take a look at our huge range. Help is available from our polite customer service team for any questions you may have. All orders are dispatched within 2 business days via a trackable service. All tracking numbers are uploaded when the order has been dispatched.